Men’s Bible Study is a unique opportunity for men in our parish to gather together for edifying study of the scripture and other related books. Topics range based on the text we are reading, and with a lively and inquisitive group there is always an interesting tangent or two to explore. We meet Thursday mornings in the church library from 6:30 am to 7:30 am, leaving plenty of time for our men to get to work after our discussions. 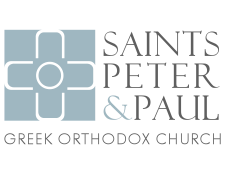 For more information, contact frp@ssppglenview.org.